Three days to go and I'll be running 10 kilometers for the NTUC Healthcare U Run 2011. That I am so excited about! I have to at least break my 1:23:20 from my Nike 10 KM SG vs KL. Anyway, I have signed up for a run in April for NTUC again. The run on April is called Run 350, which aims to unite the world to build solutions against climate crisis. 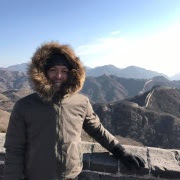 The figure 350 is actually from Dr. James Hansen of NASA. According to his paper, 350 is the level of carbon in the atmosphere that is on the safe zone. Current estimates now are between 387 and 390 PPM. Isn't that alarming? With the help of this run, it can raise awareness and maybe help us shift in doing "Green" initiatives. 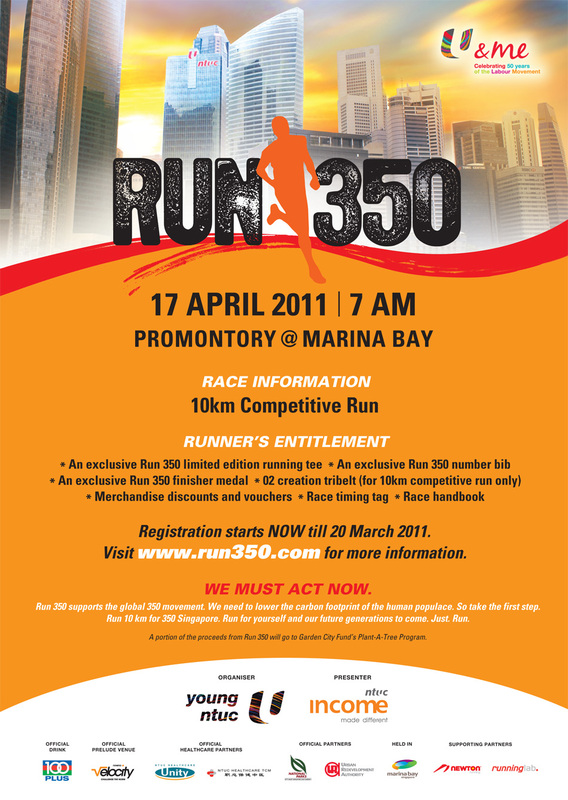 Run 350 is scheduled on April 17, 2011 at The Promontory@Marina Bay. Kids ages 4-9 can also join for the 350 meters non-competitive category. NTUC members can register for $25 while non-members can register for $35. Registration is only open until March 20, 2011. Sign up here. Makoy, galing naman! sana ako makasali na sa mga runs dito ...hayy. run or no .....walk can ..